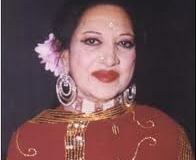 Suraiya Jamal Sheikh was a poignant Indian actress and a Hindustani singer who had a prosperous career. Her personal life was filled with turmoil, one of the most jarring one being the religiously driven conflict in her love life – something that also was a contributing factor to her decline and subsequent withdrawal from the industry. 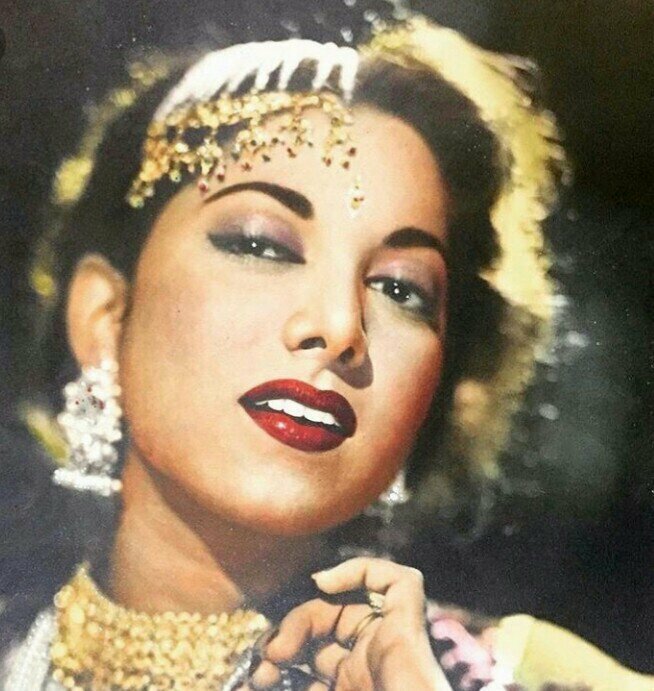 Suraiya migrated to Bombay from Lahore in the early 30s, and her uncle M. Zahoor went on to become a successful villain in the movie industry around the same time. She started signing alongside Raj Kapoor at All India Radio from the young age of six. She went on to star as a child actor in her first on screen role in Madame Fashion at the age of 12. She went on to sing and establish herself as a successful singer in the industry and worked with big music directors and composers to make hit songs in films like Dard, Anmol Ghadi and many others. She was known for her melodious voice, which culminated in her signing more than a 100 songs throughout her career. As a child actor, she was in movies like Station Master and Hamari Baat. She was impressive with her prowess and skill, so much so that she was signed on a 500 rupee per month five year contract at a young age. Suraiya rose to fame with her movie Ishara, and her subsequent movies were so successful that a swarm of fans used to crowd around her house and come to see her at the premier of her movies. She earned a lot of fame as an actress and a singer, and earned critical acclaim for her singing prowess. Her singing career and her acting career peaked as she belted out very beautiful and memorable tunes, and gave stellar performances as an elegant actress. Suraiya made headlines when she was seen boldly holding hands with Dev Anand at a party. As her fame intensified, so did her blossoming relationship with Dev Anand. However it wasn’t without its difficulties, she was a Muslim girl in love with a Hindu boy and in the late 40s and early 50s, that was a slightly turbulent thing. But she was unafraid to challenge these dogmatic norms, and made headlines when she was seen boldly holding hands with Dev Anand at a party. Her parents were in quiet approval of her relationship with Dev Anand, but her grandmother openly voiced her opinions against the relationship and the union. She was adamant about her marrying a Muslim man and in her eyes, Suraiya marrying a Hindu man or even being romantically engaged with him, was unacceptable. With that sort of atmosphere, she made news for her romance with him – and both of them were candid about the sort of love they had for each other. Dev Anand was quite fond of her, and wanted to marry her. With that intention, he proposed to her in 1950, with an engagement ring. Suraiya was heartbroken, having been forced to break off her relationship with Dev Anand because of the pressure of her grandmother. Following this, she didn’t seek any other companion, and never dated or married anyone by her own agency and choice. Her financial success and independence couldn’t unshackle her from the patriarchy and the oppression she had to face through various entities in her life. She was extremely closed off about her fallen apart relationship, and whenever questioned about it, was very clear in not answering them. She withdrew from the public eye, starting the mid-50s. She stopped making appearances and she even stopped doing as many films as she was previously doing. Suraiya cut down on doing as many films, citing low blood pressure and health concerns as the reason for not acting as much. Another very important incident which made Suraiya give up acting was her abrupt exit from the filming of Jaanwar. She said that Dilip Kumar had been very rough with her, tearing her blouse and bruising her badly enough that the wound took more than a month to heal. The director, K. Asif also made her feel do uncomfortable scenes. There were also stories about how all of this horrible behaviour was done as a plot to tarnish her image, by Dilip Kumar and the director. Hearing and experiencing all of this extremely distressed her, and she left the movie unfinished. Post this, in 1963, she gradually withdrew from the public eye and didn’t do any further films. At the time she was said to have taken retirement because of her degrading health and because her father had passed away. As she grew older, she also became more lonely and reclusive. She didn’t make a lot of public appearances, and barely kept in touch with anymore. She is recalled to have been sad, and didn’t meet any friends. Aged 75, she passed away in 2004 due to her deteriorating health and complications arising from it. She was remembered by a lot of veteran actors, many of whom showed up to pay their respects at her funeral. Suraiya collected a lot of recognition and accolades for her performances and contribution to the industry. One of the most acclaimed of them was the President’s Gold Medal. She even went to the then Soviet Union to officially represent India as part of a delegation. Suraiya’s life was marked with a very controlling grandmother who had her own selfish motives of wanting to not let her marry Dev Anand – because of dogmatic communal beliefs and her inability to let the earning member of the family be married to someone not only outside of their religious community but also someone chosen by her own accord. She was deprived of being able to exercise her agency – even as the sole earning member of the family. Her financial success and independence couldn’t unshackle her from the patriarchy and the oppression she had to face through various entities in her life – her grandmother and maternal uncle, Dilip Kumar and the director, as well as the society at large that was very shocked by her love life with Dev Anand. Nonetheless, Suraiya broke barriers of excellence as an artist and as a woman – a woman who challenged her family and the society on communal beliefs, and is one of the most prominent examples of a woman rising within a male dominated industry on her own hard earned merit and constant ability to outshine others and herself.